He couldn't understand it. He remembered dying. 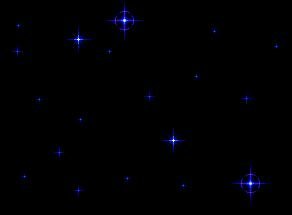 The Captain had stood there, his shade turning slowly from that of a pink rose, through a fuschia colour, finally arriving and leveling out around the range of red cabbage. Thoughts of school dinners, bolted down before last minute exam revision, swallowed Rimmer's attention and the shouts became nothing more than background noise. The words were unimportant; despite the completely different demeanour and the lack of similarity in looks, Rimmer felt that he was back before his father, protesting innocence they both knew was feigned. But... I didn't... I'm sorry... No words could be good enough. Nothing uttered now could ever dispell the anger nor right the latest failure to add to the list. Words started to lack meaning, and replies to the accusations became automatic: "Did you?" eliciting a sullen, "No." "Won't you?!" drawing a shrug and a "Yes." He wondered where it all went wrong. No matter how far back he looked the picture was the same. The three year old Arnold who couldn't swim yet. The five year old Arnold who excelled in composition but hadn't yet grasped division. The ten year old Arnold, a laughing stock amongst the family, because he chose to write a physics project about electricity in favour of space engineering. The twelve year old Arnold who was beaten for putting Home Economics on his exam options form and inadvertently leaving off calculus. Each of them came before authority to be ridiculed and shouted at. Was it any wonder he resented his job, his life, his "achievements"? The Space Corps. Join up, be a man. Be a man and do what? Fix food dispensers for a living? Was there really nothing more to life? And whilst the Captain was a seldom seen figure of authority, the jibes of the masses were little better. He tried not to let it get to him. Ninety nine point nine percent of his life, Rimmer was the dedicated professional, climbing the ladder, working his way through the ranks. He took the insults on board and rationalised them. They weren't laughing at Rimmer. They were laughing at the Company that had put a man of his stature into a lowly position. That graffiti in the mens toilets was inevitable - it wasn't *really* Rimmer who was the focus, it was just that he happened to, temporarily of course, hold a slightly inferior role of command. The fish in the air vents on D deck were just a practical joke that could have been applied to anybody - no one meant him any harm directly. They respected him. Didn't they? Okay, so fixing machines, and mopping floors wasn't the most glamorous job in the world, but it kept the ship running slickly. Lack of dedication to his job would lower morale as a whole. Rimmer was important. He kidded himself. But on those point one days, things would get to him. He'd see himself as the downtrodden hopeful he was. 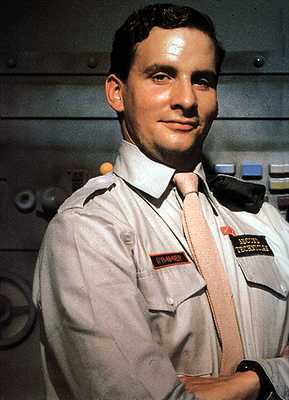 Rimmer wasn't stupid, just misunderstood. He shouldn't have ever been on a JMC vessel - it just wasn't him, wasn't *for* him. On those days it was difficult to get anything done. Days like that were days when it wasn't even worth shouting at Lister's petulance because the futility of it, the futility of life in general really came home to him. Days like that, you could have offered Rimmer an honorary officership and a role of command on board his own ship, and he'd have laughed in your face. Days like those were rare and depression based, but days like those happened. It was on a day like that that Rimmer was asked to fix the drive plate. Usually it would have been given to a senior engineer to do, who, most likely, would have delegated and handed it to one of the juniors. If it were a quiet day, one of the trainees might have been involved. Fixing the drive plate was a simple enough task involving a fast swap over of several spare parts, and a bit of diligent welding. Under normal circumstances, despite the messy nature of the job, and regardless of it not being a part of his job spec, he would gladly have sold his Grandma and several other older members of the Rimmer extended family, to have been given just the opportunity to watch. But today had started badly when he was informed last minute of Lister's absence and lack of a replacement, and hauled up before the catering staff on floor 813 whose rations of Smarties had not been met by Lister before he was suspended from duty. In a self indulgent, depressed state, Rimmer overheard tale of the Engineers shuttle trip and reflected on the lack of bonuses in his own job. So when he was given the job of welding the drive plate, it was a tainted and unwelcome offer, accepted with bitterness and a realisation of the contempt they showed him. "No one else is around, so give it to Rimmer." Never mind that he had to fulfill two men's cleaning, having had no one swapped in to take Lister's role. Never mind that Mondays were the busiest day of the week since weekend celebrations were inevitable. Never mind that he'd never welded a thing in his life. Burning with resentment, Rimmer swapped in a new drive and started work on the old one. His work had barely begun when he realised the welding iron was giving out, but getting hold of the supplies personnel on a morning was nigh on impossible, and frankly, Rimmer had better things to do. Well, maybe not "better" as such, but the fact remained that he'd be hauled up were they *not* done. It was a shoddy job, he knew. It wasn't his best work. But the engineering trip was only a short jaunt. There would be someone on the nightly shift, no doubt, and they could sort out what needed doing. It wouldn't matter for one afternoon. It probably wouldn't matter if it weren't fixed all week. After all, why would they give it to Rimmer if it did? Job done - almost - Rimmer stuck a post-it note with flashing LED onto the plate, drawing attention to the broken iron and need to polish off the job, then moved on to replenishing the stock of condoms in the medics toilets, knowing full well that more would be used to novelty effect amongst the new doctors recruits than would in their intended use. The inefficient drive plate repair job was spotted some three hours later, which gave just enough time for Captain Hollister to have Rimmer frogmarched to him and shouted at before they all died. And Rimmer remembered it well. The slow motion flash of brightest light, more brilliant that magnesium in a flame. The cold, raging wind that blasted towards him. The cliched life-flashing-before-the-eyes. The look of terror on the Captain's face. The sudden feeling of waste and meaninglessness that he accepted was his life. The fear. Then the calm, then the nothing. Later he had seemed to come round. Holly there before him with a slow droning voice spouting words he couldn't concentrate on. Slowly his senses readjusted themselves and he learnt what had happened. He laughed. How could he be dead? He was still here. No, really, he had died. Wait a minute. He was dead. There was no call to strive for high ranks any more. He was free! He remembered dying. He remembered it all. There was a sudden irrelevance to his poor excuse for a life. Nothing mattered any more. He didn't matter. He wasn't. He had died! ... due to the inefficient repair of the drive plate. And suddenly the crushing guilt thrust itself upon Rimmer. He'd killed everyone. He'd made nothing of himself. He'd lived, and died, a nobody. He achieved nothing of worth, and now he never would. To top it all, he was still here. Brought back as a hologram to have his failure thrown in his face. It had taken Rimmer a long time to come to terms with things. When you spend your whole life being alive it's quite odd to suddenly not be alive. Whilst the ghosting effect of walking through things was a novelty to begin with, and had its uses from time to time, it was far outweighed by the inability to function as a living person. It wasn't that he couldn't touch - anything he required could be supplied by Holly. It was more the dependence. Clothes, pens, books, food - everything needed to be simulated, and in order for that to occur, had to be requested. He could never shake the feeling that "A clean uniform, please, Holly," and "Can I have my pocket money now, Dad" were essentially the same thing. It was belittling. Looking in the mirror and seeing a stark, blocky H stuck to his forehead was unnerving to begin with, and got better only in familiarity. What it stood for remained the same. H for hologram could well have been interchanged with L for Lesser Person or Loser or Lame. It would leave no different effect on Rimmer. In life he had been bitter. In death he was worse. That was Holly's reasoning for bringing him back. An insufferable man, made more so by his own suffering, was the perfect companion for Lister who needed motivation to keep him going. It had worked as well as it�s possible to call constant petty bickering "working". Lister�s initial depression had been overtaken by a more motivated existence. Once the realisation sank in, and the delusions had stopped, things started to make some sense. It took some months of near alcoholism and bursts of violence before it happened, but eventually the Last Man Alive had calmed down. Eventually, for Lister, life held a meaning of sorts. He might claim that he wanted to get back to Earth. He might chase the impossible dream of a future with Kristine Kochanski, who he barely even knew. He might even talk of partying as being his life. But it was Rimmer who was at the crux of it all. Rimmer�s existence made it all gel. Lister�s basic need was food. His second most basic need was warmth. But third came Rimmer. The unexpected. The conflict. Without Rimmer being there for Lister, the Cat would not be an ally or a friend, but a competitor in the genetic race. In the stakes of Survival of the Fittest, an angry humanoid with feral cat ancestry was the odds on favourite. Not that Rimmer either knew or accepted this. For him, much like the Cat he despised so much, he saw life as revolving around himself. It wasn�t that they had an argument, it was Lister arguing with him. It wasn�t that Rimmer was petty in his role of command, it was that Lister was an insolent baboon of a man with no respect for authority. It wasn�t that Lister actively liked the Cat, it was a sideways insult to Rimmer to make out he preferred that half-wit�s company to his own. As time went on the conflicts decreased. He began to see himself as a father figure to Lister, offering advice and guidance. Lister outgrew his almost adolescent tempestuous nature and began to listen more. In the cold dark of Space they found a form of camaraderie. They, for want of a better description, bonded; an understanding growing between them. Another man might have cherished the closeness. Rimmer was not another man. His small mindedness left the companionship tainted. His vindictiveness never fully waned and the one-upmanship was constant. As the permanent scapegoat in life, he couldn�t help but enjoy the sight of someone else getting the bum deal. Sometimes he realised. Occasionally he held himself back, didn�t drop the snide comment, or avoided the petty reaction. But Lister let it down. Lister and his stupid inane existence. Lister and his oh-so-amusing jokes. Lister and his almost permanent grin and stupid pigtails and drunken half soaked attitude to life as a whole. Despite it all, Rimmer still cared. The little part of his being that was free of hatred and spite, really felt for Lister. They could barely be described as friends, but they were good together. Not in a pervy, repressed sexuality kind of way; not so as they�d hug one another over big achievements (quite fortuitously since they physically couldn�t) or put themselves on record as saying so, but in a calm, understated way their respect for each other developed. Time changed them, as time does. Cat had coined it perfectly one night in a brief moment when their paths crossed in the bunk room. "Hey, the boys from the Dwarf are together. Do we look good? I know I do!". Boys from the Dwarf. Rimmer remembered. It was an adept summary, rather spoiled by Cat�s follow up performance of stealing Rimmer�s shoe polish. Holly broke his line of thought. "I thought you�d want to know." Rimmer continued to stare at the cold, open, expressionless eyes in front of him. A perfect mirror image minus the oh-so-symbolic H sign upon his own forehead. He just couldn�t take it in. He remembered dying.